An injury to your autonomic nervous system (ANS) is often referred to as Harlequin syndrome. ANS has the regulatory control over your natural processes like sweating, pupil response and skin flushing. A defective regulation by ANS (dysfunctional ANS) leads to asymmetric flushing and sweating. It is mainly manifested over your face, neck and upper thoracic region of chest. One can experience unilateral symptoms and an absence of the same on other side of the body. This is regarded as Harlequin sign. It is a defective communication between the autonomous nervous system and one side of the body. 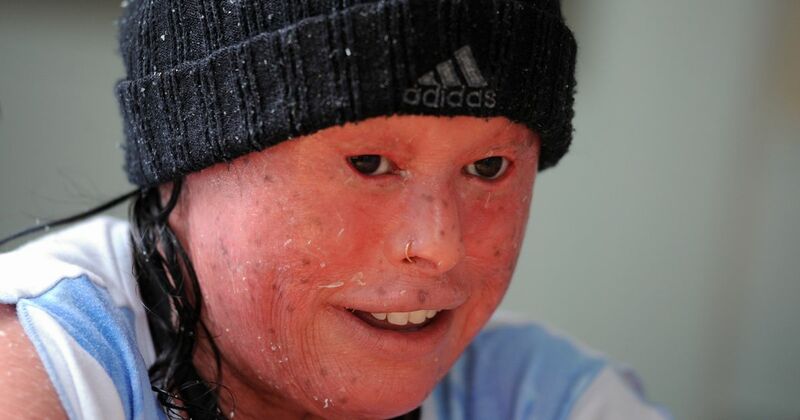 Horner syndrome is often conjugated with Harlequin syndrome. Anhidrosis - absence of sweat (on contra lateral side). But in some cases there are reports of forehead sweating. Causative factors and mechanism of Harlequin syndrome is still a question mark to the medical science. Twisting of the thoracic spine which can cause anterior radicular artery blockage is also considered to be a cause. A lesion to sympathetic and parasympathetic neurons of ciliary ganglion is one of the prime causes to the Harlequin syndrome. It can also be caused by surgical trauma followed by unilateralthoracic sympathectomy or endoscopic sympathetic blockade (ESB). Newborns diagnosed with Harlequin syndrome are less likely to survive. Harlequin syndrome is often regarded as auto-immune but never with genetic association. It is more commonly caused by a trauma to the nerve bundle. In Harlequin syndrome, we could see tridosha – vata, pitta & kapha – aggravation with predominance of pitta dosha. The flushing of the unilateral side of the body is an indicative of aggravated pitta and the absence of sweat to aggravation of both vata and kapha. It is prepared out of turmeric (Curcuma longa). It is a potent anti-inflammatory drug. It helps to boost the immune system and also to modulate. They are mainly indicated to enhance the circulation in the body. Cur-cumin is a potent antioxidant. Cur-cumin is very popular for its anti-microbial action. It helps to relieve the rashes and inflammation. Dosage :- 1 capsule twice daily after meals with lukewarm water. These capsules are prepared out from the standardized root extract of the herb, Withania somnifera. Withania somnifera have anti inflammatory property. Ashwangandha is described to as adaptogens. It has the power to retrain the body in stressful conditions. It helps to prevent the immunosuppressive activity of the body. Ashwangandha is potent enough to stimulate your nervous system. This helps to balance the aggravated pitta. There by reduces the foul smell. It also helps to achieve mental clarity and minimizes negative emotions. Pitta balance is coolant in nature, there by reduces perspiration. It is a rich source of calcium, helps the women to tackle menopausal symptoms. It is a potent anti-inflammatory drug prepared out of shudh gandhak. It also has antioxidant and Adaptogenic properties. It helps to relieve any itching or burning sensation due to any underlying pathology. It helps to improve the skin health. 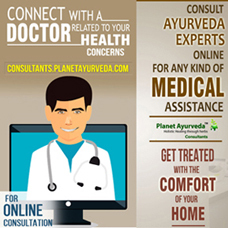 It is the most effective medicine in Ayurveda for any kind of skin diseases. It rejuvenates the body and helps in prophylaxis. It also has anti-bacterial property. Dosage :- 2 capsules twice daily after meals with lukewarm water. 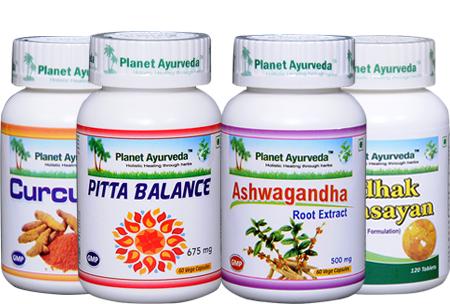 All planet Ayurveda products are guaranteed to be 100% natural without any presence of chemical preservatives, which make them one of the best. Reports show that these products are less likely to cause side effects and other drug interactions.